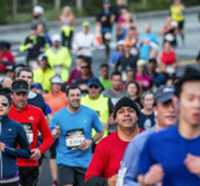 The 2019 Ascension Seton Austin Marathon, Half Marathon, and 5K presented by Under Armour will fill Austin’s streets with more than 20,000 runners on Feb 17, 2019. If you missed the unveiling of our new marathon course in 2018 then 2019 is your year! Participants are treated to experience Austin’s finest! They race along open roads that pass iconic landmarks like UT Tower, The I Love You Mural, and Austin Power Plant; enjoy miles of Austin unique neighborhoods such as SOCO district and Hyde Park; and are greeted by cheering crowds as they close in on the finish line in front of the Texas State Capitol on historic Congress Ave. Being a part of the Austin Marathon guarantees a great time and some amazing perks. **Marathon & Half Marathon Participants. 5K finisher medal is not a belt buckle. The Start Line is located in downtown Austin. 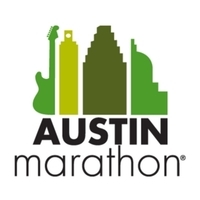 Start time for both the Austin Marathon and the Austin Half Marathon is at 7:00am CST. Restrooms will be will be readily available through the area and at the start line. Medical teams will be located at each aid station, marked by red “Medical Station” signage, at the end of the aid zone. They will also be located at the start an finish lines. Digital clocks will be located every 5k on both the Marathon and Half Marathon courses. These clocks will be based on gun time. Mile markers will be located every mile with raised event signage on both the Marathon and Half Marathon courses. We will have a 3:00 pace group that will get you to the finish in 2:59 Gun Time, plus pace groups for the following Boston Qualifying Times: 3:05, 3:10, 3:15, 3:20, 3:25, 3:30, 3:35, 3:40, 3:45, 3:50, 3:55, 4:00, 4:10, 4:25, 4:40, and 4:55. The Boston Qualifier pace groups will run based on chip time. The Pace Group Leaders will be running “Even Splits”. This means that every mile will be run at approximately the same pace. Exceptions to this will be in the beginning of the race due to the bottleneck at the start, and on the miles which may be slightly hilly. Think of them as a moving finish line with your goal time pinned to the back of their shirts. The gear check tent opens at 5:30am on race morning. When you pick up your race packet at the expo, you will receive a clear plastic bag. This is the only bag that will be accepted into gear check. Please don’t leave anything valuable in your bag as we cannot take responsibility for any lost items. With over 15 Austin bands to keep you motivated, from local Austin rock bands, to drummers, cheer groups and dance teams, we will help keep you moving and keep you entertained! Spectators along the course throughout each neighborhood will also support you in your efforts to meet your goal of finishing strong! Headphones are welcome, just make sure that you can hear the course marshals & instructions from course volunteers and staff. Strollers are only allowed for the 5K distance.